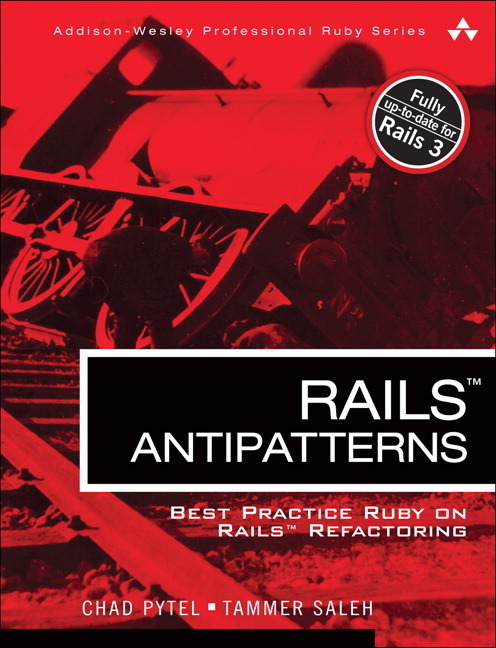 This week's free IT book, from the Addison-Wesley Professional Ruby Series, is RAILS Antipatterns: Best Practice Ruby on RAILS Refactoring. Answer one of the five questions listed below and leave the link to your answer in the discussion area. Hard disk and partition imaging backup software help Checking number of users logged into Exchange 2010 How does VDI handle IP addresses for each virtual desktop? Manual updates of Symantec Endpoint Protection Who is deploying desktop virtualization? Good luck! Hi, Answered the question Manual updates of Symantec Endpoint Protection here. An answer to Hard disk and partition imaging backup software help was posted here.